Your shirt is one of the most important parts of any outfit. 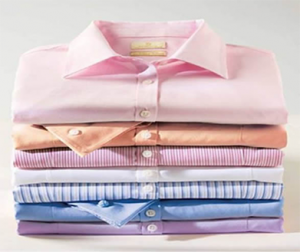 We launder and press shirts to an impeccable standard, and offer you the option of having them returned folded or hung. You can also request how starched you would like your shirts along with the option of having them expertly hand-finished. Arrive at one of our stores before 10am and you can have them ready to pick up on the same day.